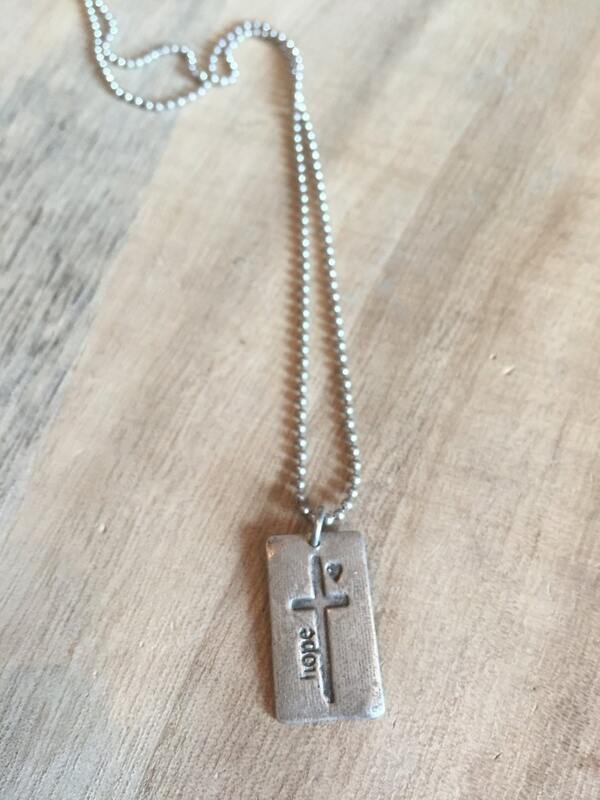 Handcrafted Pendant, 1 Cor 13:13-And now these three remain: faith, hope and love. But the greatest of these is love. Pendant measures 1" x 3/4". 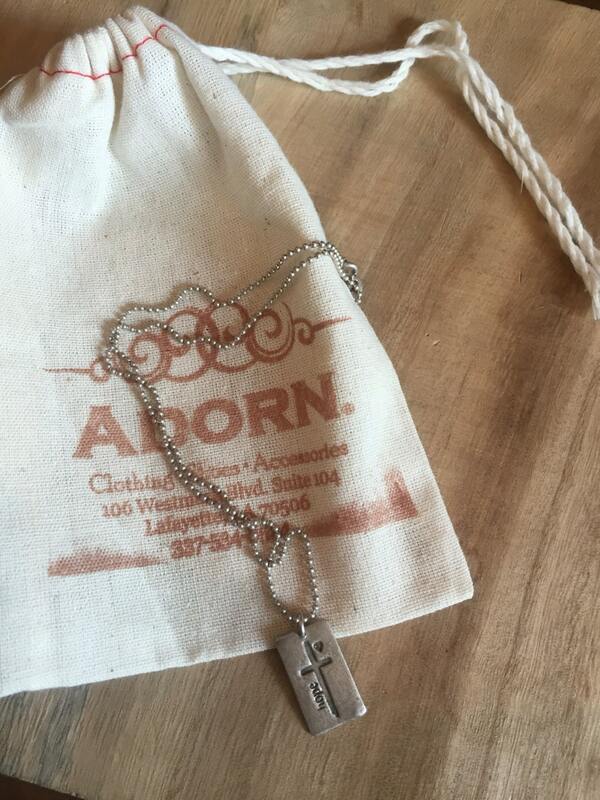 18" sterling silver bead chain.